must pay an admission fee. Some years ago we started the project and experiment of the WYF instructional videos and now we can provide you with the complete collection. These videos – which are online now – are the result of a cooperative work between the members of the International Research Group, the experts of the WYF Technical Council and the members of the World Yoseikan Federation Teacher School with the supervision by the École Mochizuki. 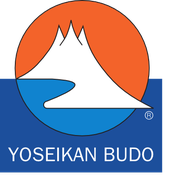 These videos are intended as an accompanying and supporting instrument for certified Yoseikan Budo instructors of affiliated WYF members and should help them to apply and use the trained and tested techniques and methodical an didactical suggestions – made in the specific courses – for the Dan formation in their clubs. It is very important to us to underline that all the collected exercises should serve as an incitement for further possible interpretations and developments and in no way considered as a kind of dictation. The exercises shown in the videos should be intended as a support and a suggestion and should never put in question an instructor’s creative and autonomous working competences. Therefore the videos should be a helpful instrument to arrive at further ideas and inputs. After all, the objective is that the instructors will be able to recall the methodical knowledge acquired in the specific courses. Yoseikan Budo is a dynamic and lively martial art being in a constant development and it is obvious that it is not possible to represent this fact in these videos. This should really be clear to everyone. It is precisely for this reason that – due to development and new findings – the videos will be regularly revised. At the moment we have more than 40 instructional videos, intended for a period of 3 to 4 years (4 cycles). These videos are gradually available on the website of the WYF (www.world-yoseikan-federation.eu). You can find the links under the menu item INSTRUCTION VIDEOS TS. How can you obtain access to these videos? Simply click on the cycle and after entering a password you will reach the internal area of the website where you will find the instructional videos. It should be clear to all users that these instructional videos have to be handled with the necessary sense of responsibility and with reasonable care. The videos are the property of the WYF and are protected by law. Any incorrect or unauthorized (for example the making of reproductions) will be prosecuted by law. We hope that the instructors will make much use of the WYF instructional videos so that this collection will make a concrete contribution in transmitting our fascinating martial art. all the other Members (WYF PROVISIONAL MEMBERS and LOCAL PARTNERS) must pay an admission fee. To obtain the access to the instructional you need a password. Once you have completed the formalities you will have access to the videos.